Jodie Sweetin, Beverley Mitchell and Christine Lakin all became household names in the 90s. 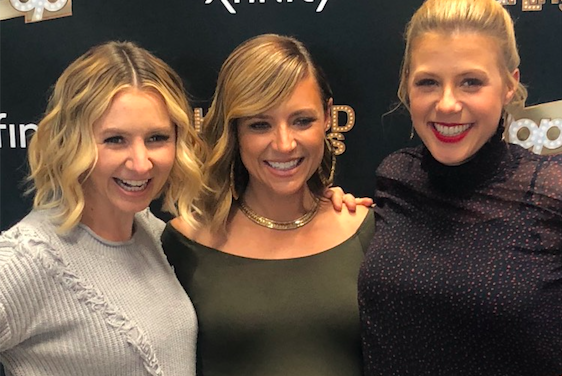 These women have been friends for a long time and work together on the PopTV show, “Hollywood Darlings,” where they improv and exaggerate the most ridiculous moments of their lives and careers. On Friday afternoon, there was no need to step into a time machine to return to the 90s. The XFinity Store by Comcast at the King of Prussia Town Center gave fans a healthy dose of the decade when they hosted a meet-and-greet with the cast of Pop TV’s improv comedy series, “Hollywood Darlings,” featuring Jodie Sweetin (Full House), Beverley Mitchell (7th Heaven) and Christine Lakin (Step by Step). Starter jackets and a trove of Lisa Frank weren’t required for entry. The “Darlings” good-naturedly gabbed and took questions while promoting the second season of the show, which follows Sweetin, Mitchell, and Lakin, who grew up as television stars in the 90s. The show earned Pop TV’s top rating for an original series debut among women 18–34, according to Nielsen. There wasn’t much gossip worth ignoring call waiting or juicy enough to risk detention for passing notes. In terms of their daily practices, Mitchell admitted she naps, Sweetin meditates and journals. “Before I got too big…I did a ton of yoga,” said a pregnant Lakin. The closest gossip came when they were asked to share something about a fellow cast member. Lakin said Mitchell hopes to take her family on cross-country trips. Lakin recalled she attended Sweetin’s 13th birthday party in Disneyland and it was all Disney villains. “I can think of things, but nothing you would want me to share,” said Sweetin. When asked what they missed most about the 90s, Sweetin mentioned 90’s hip-hop, and Mitchell and Lakin said a time with no Internet. A commercial may have spurred many of the “children of the 90s” in line to tune into TGIF but the majority learned about Friday’s event from social media, mainly Instagram. 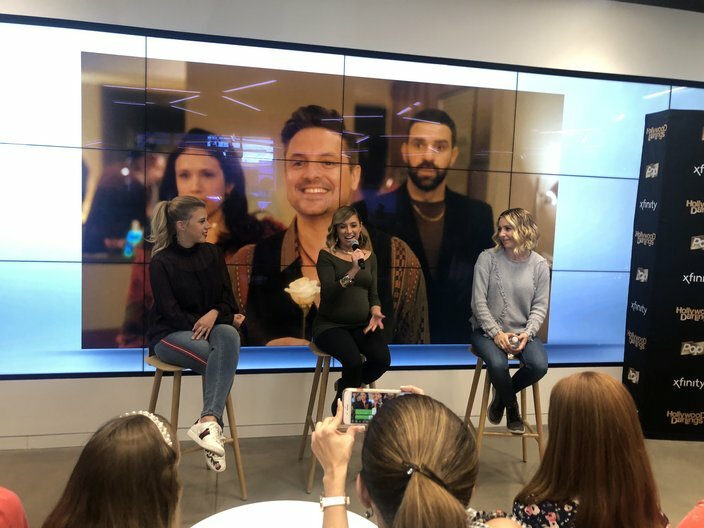 The stars of “Hollywood Darlings” speak to fans at the Xfinity Store in the King of Prussia Town Center on Friday, April 20, 2018. She is also a child of the 90s. “I miss the lack of war...the lack of politics in your everyday life,” said Brown. Jason Kemple took the drive in from Alpha, N.J. to have a chance to meet the ladies he watched growing up and today. “I had to make the trip to come meet them,” said Kemple.